God asks us to care for the animals. As we have seen in the previous reflections, God made us neighbours, stewards and servant rulers of the animals. After God creates Adam, God declares that Adam needs helpers, so the animals are brought for Adam to name. This is significant. God creates the animals, but gets Adam to name them. Why? Think about the last time you bought a pet. How differently did you feel about that pet when it went from being ‘the puppy’ to being ‘Tessa’? Naming creates a loving bond between animals and humans, and God wants us to love all animals. Read Genesis 1:20-25. When God declares the creatures ‘good’ God is not just saying they are ok, God is saying they are perfect and that they have great value. It is important to note that this is before God creates mankind. God declares that animals have value completely independent of humans. God does not think cattle are more valuable than mosquitoes, because they are not created for mankind’s use and pleasure but to praise God. Since we live in our little worlds, it is a good thing to remember that God ‘breathed’ into being the whole cosmos. Christ helps us to bring healing and unity to the world. By the leading of the Holy Spirit we can think globally and act locally. By following Jesus teachings we can fight consumerism, and learn to live more satisfying and faithful lives. With the God’s help, we can make sure our impact on the cosmos is not bigger than our place in it. Most people don’t think about the cosmos often. We live our lives in our tiny little worlds made up of our work, our home, our friends and the local grocery store. Seeing the world in such a limited way makes it easy to harm the earth because we don’t see the damage. When we buy cheap coffee we don’t see the people who suffer growing and picking it, and we don’t see the rainforest cut down to get the land it is growing on. It can be useful to remember that ultimately the cosmos is a closed system. As they say, when you pick a flower, a polar bear sneezes. Some people think that when we destroy the earth we can simply move to another planet in the cosmos. They see the entire cosmos as just a massive store of replacement planets for humanity. Do you think this is what God intended? I don’t. God created this planet for us and God’s creatures. It is totally unique to our knowledge, in all the cosmos. This is not a gift to throw away, but one to be cherished. What can we do to make sure we don’t need a replacement planet? Waste is a huge problem for humanity. Western society’s consumerism addiction has created an ever increasing pile of discards, which have to go somewhere. Our landfills are rapidly becoming inconvenient- they take up space and it is hard to do anything with the land once they are full. Also, we have toxic and nuclear wastes which we need somewhere safe to store. Some people suggest we can solve all our waste problems by dumping our waste in space. Do you think this is a good idea? If comes to an choice between sacrificing some time and money to recycle and building a cosmic waste dump, what will you choose? What do you think God made the cosmos to teach us? Maybe to ‘reach for the stars’? Or our own insignificance? Maybe God wanted us to learn physics. Or, do you think God created the cosmos for God’s own reasons, and not just for us? The cosmos is pretty big. So big, it’s hard to get your head around. If God has the whole cosmos to look after then we must be smaller than ants to God, we are more like tiny bacteria in the scheme of things. Yet God loves each of us, every man, woman and child, completely. Every bird, reptile and ant too of course. God’s love is like the cosmos. What does Jesus say about us ruling the Earth? How does he tell us to rule? The way He did of course! He tells us to be good neighbours to creation, and to reveal ourselves as children of God by redeeming it. We are to serve the earth out of love for God. We are called to serve because Christ first served us. We are called to be servants because Christ is the supreme servant who gave his life for us and for all creation. What are some of the ways in which we can ‘have the same mind as Christ’ and in so doing ‘serve’ both our fellow human beings and the creatures which are part of the creation God loves? Many people have interpreted Genesis 1:26-28 as a mandate to dominate the earth. One of the many ways in which humans have ‘dominated’ life on this planet and shown little concern for living creatures, is through the destruction of whole species. It is not simply a question of hunting animals or fishing our rivers. Humans have had an attitude of superiority that has led to many species becoming extinct and others being endangered. We have removed the forest habitats of some species, polluted the water habitats of others and poisoned the soil habitats of still others. In the name of human progress, many living species have been considered disposable. And sad to say, we have often done so thinking we are doing God’s will! Our past slaughter of the whale, perhaps the largest living being in creation today, is a good example of our desire to dominate. Identify some local endangered species which groups are now seeking to preserve. On what basis would you join such a group? Is there a role for the church to play in protecting endangered species from extinction? If we are made in the image of God then we must act like Him. How does God relate to the Earth? Have a look through the Bible. Is it with concern and love? Read Genesis 2.15. This is a different picture of the role of humans in relationship to Earth. When God makes Adam, the first human, God places Adam in the garden ‘to till and keep it’. A closer look at the text reveals that the Hebrew word for ‘till’ normally means ‘serve’. The role of the first human then—and presumably all humans—is to ‘serve’ and ‘preserve’ Earth. What does it mean to rule? If we look earlier in the creation passage we find that humans aren’t the only ones appointed to rule by God. He also appoints the sun to rule over the day and the moon to rule over the night. Contemplate how the sun and moon rule- are they servant rulers, or exploiters? Why would God put us in charge? In recent years, scholars have pointed to a custom found in the ancient world where a king who rules over large domains places an image of himself in distant regions. That image functions as a representative of the king in that location. Accordingly, it is suggested that human beings are like images of God the king, representing God on Earth. If that is the case, then the image of God is not so much something distinctive within humans, but rather a distinctive function that humans may perform as representatives acting on God’s behalf. The question then becomes, what is that function? Read Genesis 1:26-28. What do you think being human means for our relationship with the Earth and its creatures? Are we rulers, stewards, servants, neighbours or friends? What does it mean to fill the role you have chosen? Is this how you have lived your life? More than 300,000 harp seals are clubbed or shot to death each year in Canada. 96% of them will be less than 3 months old, and some may be even skinned alive. Is this just the activity of greedy hunters, or does it reflect an attitude in the Western world that human beings have a right to dominate creation, a right based on the reading? What if the hunters were only taking enough to feed their family? Does the fact this is an endangered species make a difference? As children of God, how can we lead the way in restoring and redeeming Creation? What do we do here at Kippax that helps or harms the environment? How can we, as a community, support each other to care for the environment? When Adam and Eve ate the forbidden fruit sin and death entered the world, upsetting the natural balance between man and God and man and creation. The blood of Jesus has now freed all creation from the wages of sin and we are no longer under a curse. If the land is free of its curse, why do you think it still suffers? What role should the children of God play in breaking the curse upon the land? How can we emulate God’s care for the land? God created humans as good neighbours and ‘stewards’ of creation. We were to ‘tend and keep’ the land and care for it. Consider the story of the Faithful or Unfaithful slave in Matthew 24:45-51. Do you think we have been faithful to the Lord in our care for His creation? If we knew he was going to return tomorrow, how would we change? Why do you think that Mankind has opted to abuse and exploit the land instead of caring for it? Do you think this will change? What lessons does God teach us through His creation? The Spirit of God that gives life to all creation fills all of creation. So no matter where the Psalmist may think of fleeing, God’s presence is there. God fills the sky and the sea, the land and the distant dawn. God’s light is present in the deepest dark. How have you experienced the presence of God in Creation? This Sunday we are celebrating World Environment Day at my church. This is a good time to reflect on our impact on the environment. What changes have you seen in the environment within your lifetime? What do you see as the major threats to our environment? What do you think needs to happen if our grandchildren are going to have a better environment than we have to live in? There is a great saying that asks ‘how would you feel facing Leonardo da Vinci if you had just destroyed the Mona Lisa?’ After all, the environment is God’s masterpiece and we will face Him in the last days. In your small group, discuss what each person’s ‘worst environmental sin’ is, and what they could do to improve. Make a commitment to support each other to improve on this sin and pray. Discuss your progress at the end of the week. Matthew 5:13-16: "Ye are the salt of the earth: but if the salt have lost his savour, wherewith shall it be salted? It is thenceforth good for nothing, but to be cast out, and to be trodden under foot of men. Ye are the light of the world. A city that is set on a hill cannot be hid. Neither do men light a candle, and put it under a bushel, but on a candlestick; and it giveth light unto all that are in the house. Let your light so shine before men, that they may see your good works, and glorify your Father which is in heaven." We are excited to be holding a Basic Certificate Information and Equipping Workshop in Canberra on the 20th of June. Anyone in Canberra interested in representing their church is welcome to come. It is hoped this workshop will encourage represented churches to become part of the new Canberra trial of the program. For more information see below. I am also thinking about holding the same workshop in Melbourne in July, so let me know if you are interested. Also exciting is the release of the 2009 World Environment Day Resources by the Earth Team of the Uniting Church Synod of Victoria and Tasmania. I encourage all churches to consider how they are going to celebrate World Earth Day with their congregations. I have attached the resources for reference. The Five Leaf Eco-Awards are looking to set up a trial in Canberra, and as part of that we are inviting interested church representatives and individuals to attend our upcoming Basic Certificate Information and Equipping Workshop. The workshop is on 20th June 2009 at the O’Connor Uniting Church Hall from 10am to 3pm. Participants are asked to bring a cut lunch. 1pm, SATURDAY, 13 JUNE, Garema Place, Civic, ACT. The Queensland government has given the go ahead for a shark fishery inside the Great Barrier Reef World Heritage zone. From this year, up to 600 tonnes of sharks, or around 70,000 individuals, will be specifically targeted in the state. The harvest will feed the growing demand for shark fin, which is considered a delicacy in much of East Asia. Between 2000 and 2004 the ‘incidental’ shark take in Queensland increased four-fold, with a massive 1240 tonnes of shark being landed in 2004. Fishing is now the main pressure on sharks in the Great Barrier Reef. Campaigns Director with the Australian Marine Conservation Society, Craig Bohm, said, "In the next few months Queensland's Fisheries Department plans to legitimise one of the most unsustainable forms of fishing on the planet - shark fin fishing. With over 90% of the world's sharks and other big fish gone from our oceans, this is an extraordinary proposal to say the least." "Sharks are extremely vulnerable to fishing impacts. This is because their biology is more like whales and dolphins than other fish. Sharks are slow growing, have extremely low reproductive rates (producing very few young) and are mostly long lived. This means that they are very slow to recover from impacts on their populations," he said. However, the Queensland Department of Primary Industries and Fisheries (DPI&F) denies that there are any proposals currently in place to establish a shark fin fishery. DPI&F Fisheries Resource Manager Mark Lightowler said that the practice of finning sharks at sea is currently prohibited under the Fisheries Act and there are no proposals to amend that. "The legislation also promotes the full use of the shark, for example, a fisher must be in possession of the shark fins and the barrel of the shark," Mr Lightowler said. While the practice of ‘at sea finning’, where the shark’s fins are sliced off onboard the vessel and the rest of the carcass is discarded, is banned in Australia, opponents of the legislation say it gives de facto legitimacy to the practice. Minus their fins, sharks are nearly worthless, with the vast majority being sold as flake or ground up into livestock feed and fertiliser. While the review period has closed, Federal Environment Minister Peter Garrett MP has responded to complaints by commissioning an independent review of the main fishery in question, Queensland's East Coast Inshore Fin Fish Fishery. Minister Garrett said that his review would specifically consider this fishery's impact on sharks, dugongs, whales and sawfish, with shark being the prime focus. "Concerns have been raised by a variety of groups, including the scientific community, about shark fishing and about species protected under the EPBC Act,” Mr Garrett said, “I want to be assured that the World Heritage Values of the Great Barrier Reef are adequately protected." The review is being conducted by a panel chaired by the Deputy Chief of CSIRO Marine and Atmospheric Research, Mr John Gunn, who has 25 years of experience in marine ecology and fisheries science, Dr John Stevens, a globally respected shark scientist and Frank Meere, past managing director of the Australian Fisheries Management Authority. Malaysia's Muslim preachers have been enlisted in the fight for wildlife conservation, using passages from the Koran to raise awareness and help protect some of the world's most endangered species. After a successful campaign last year, when more than 400 mosques in the state of Terengganu held sermons focusing on turtle conservation issues, WWF decided to extend the project to support efforts to tackle poaching. The conservation group is running workshops for local imams, explaining the importance of wildlife protection. “There are several passages within the Koran which talk about the responsibility of humans in protecting our environment and wildlife,” said Umi A’ Zuhrah from the Tiger Conservation Programme at WWF-Malaysia. The Malaysian peninsula is home to some of the world's most amazing and threatened wildlife including the Sumatran rhinos, Malayan tigers and Asian elephants. But these, and many other species in the region, are under increasing threat due to poaching and the demand for their body parts in the illegal wildlife trade. Poaching is arguably the biggest threat to tigers in Malaysia, with the current population estimated at about 500, down from 3,000 almost 50 years ago. Tigers are poached for their parts, which often end up in traditional chinese medicine shops and exotic meat restaurants in Malaysia and other neighbouring countries. “We hope that religious-based initiatives such as these will complement our monitoring and anti-poaching efforts to conserve Malaysia’s endangered wildlife,” Umi A’Zuhrah said. Questionnaire surveys developed by WWF-Malaysia for those who heard the previous sermons indicated an increase in their levels of concern for turtle conservation. “In Islam, the conservation of the environment is based on the principle that all individual components of the environment were created by God, and that all living things were created by the Almighty Creator,” Mawil Y. Izzi Deen says in an essay called ‘Islamic Environmental Ethics, Law and Society’. We tend to think of the seas as a limitless bounty, but pollution, global warming and overfishing on a truly massive scale are having a devastating effect on global fish stocks. It is estimated that within the next 40-50 years global fish stocks will face collapse. Next time you’re buying fish and chips for the family think about the impact your choice of flake over flathead, or a nice piece of the chronically overfished Orange Roughy (otherwise known as Red Roughy or Deep Sea Perch) over some sustainably fished Hoki, might have. The grants and rebates section of the Uniting Earthweb website has been updated, see http://www.unitingearthweb.org.au/explore/Grants-Funding/. Sacrifice. Though it is a word often used in Christianity, the thought of sacrifice usually causes people to cringe. Especially if it is suggested that sacrifices should be made for the environment. 'Green' industry has picked up on this, and has created a plethora of items it sells to people as environmentally friendly. Even aside from the often rampant ‘greenwashing’ that occurs, there is a serious desire here to distract consumers from the real issue. These companies are trying to convince you that you can continue to buy as much as you like and still save the environment. People like to believe this because it is easy. They can continue living the same lifestyles and just pay a little more for 'green' products to offset their guilt. I am not saying there are not some fantastic products out there, which really will help the environment. I am just warning that the reality of limited resources means that we cannot simply keep consuming at the rate we are, not even if most of the products we are buying are more environmentally friendly. Creating these products still uses resources. Perhaps it is time that Western countries considered sacrificing some of their consumerism on the altar of God. The growing crisis of climate change would suggest that like Abraham, God is asking us to sacrifice something we love as a testimony to our love for him. It's easier than you think. You don't have to give up everything- just start thinking about the impact of your actions and slowly start working on reducing them. As they say, 'sustainability is a journey, not a destination'. Start off with the easy things- like turning off light bulbs and items you aren't using at the power point rather than leaving them on standby. You might be surprised how much money you save. Turn your air-conditioner up one or two degrees. You will barely notice it, but your sacrifice will mean a lot for your energy use. Invest some money in purchasing green power or solar panels and solar heating if you can afford them. The key is to only see it as a sacrifice if that is the only way you can convince yourself to do it. Try and move towards seeing it as an act of praise- because that is what it really is: obedience and praise of God. This position will work under the National Church Project Coordinator to run the Five Leaf Programs within the Melbourne area. This will involve supporting the two churches currently involved in the pilot award program and getting additional churches involved. The chosen candidate will undergo training with the National Church Project Coordinator. The Melbourne Coordinator will then be responsible for all activities of the organisation in Melbourne. The volunteer will need to work from home and must have access to the internet. Regular travel around Melbourne to visit churches will be involved. Some professional training may also be provided depending on funding. Churches around Australia are acting quietly to care for creation. Now, we want to know about it! Be a part of inspiring others to make their churches more environmentally friendly and reduce their impact! Five Leaf Eco-Awards are compiling a book of examples of actions churches have taken to become more environmentally friendly. Do you have a community garden, a water tank or energy efficient lighting? Have you held services outside, run a recycling program or educational workshops on the environment? Even if you think what your church has done is small it can still inspire others so let us know. To enter, send us 300 words about what your church did, and any photos you have. Send entries to greenleafcert@gmail.com by the 30th of June. 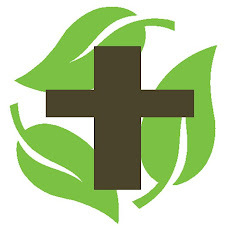 This is an invitation to all church communities to have a go at trialling the Five Leaf Eco-Awards program in their church and help save creation. Please email greenleafcert@gmail.com for more information.